Link to the original post on the Birthlight website can be found here. The recent emergence of the “Water Wobbles’ as a major concern in some baby swim schools and a topic of discussion in blogs related to baby swimming (as if this condition was something all parents might expect their babies to be at risk of), calls for a clarification of the concept. What exactly do the “Water Wobbles” stand for? It seems to refer to a temporary unsteady stage during which babies or toddlers attending baby swimming classes no longer enjoy the activities and may even refuse to get into the water. The first association that comes to mind is with the leaps and bounds that have become mainstream in the understanding of infant development. Then a second link can be made with “learning plateaus”, that Birthlight as a research-informed baby swimming method has a special fascination with. Finally, and this is perhaps the most puzzling area of the “Water Wobbles” concept cloud, we come across a notion of acquired fear of water, that, as short-lived as it is expected to be, needs to be mitigated. Taking a closer look at these three strands that are closely imbricated may contribute to clarify what can be predictable in terms of infant development and what is related to external factors. How babies grow and learn has preoccupied infant psychologists for over a century. A relatively recent breakthrough made simultaneously by Berry Brazelton (pediatry) (1) and in Hans Plooij (primatology and pediatry) (2) was based on observation: when infants access a new phase in their overall development, they tend to be unsettled and may show regressive behaviours. They cry more, are clingy, sleep less well, reject their favourite foods. Their distress has no apparent other cause than getting ready for the next spurt, when suddenly all the previous striving leads to a new integration of skills. Parents who may not be aware of growth-related behavioural changes may worry when their usually dare-devil diving toddler turns into a clinging limpet and wants to be held like a little baby. Is all the energy going into walking, now causing a standstill or a regression in swimming kicks? This is when finding out the correspondences between land-based milestones and babies’ development process specific to being in water may be invaluable. Becoming an upright bipedal walking human is a feat that changes most if not all aspects of perception. Earlier on, when babies start sitting up, modifications of their body balance in the water are also acutely felt, not only due to the righting reflex but also because of new possibilities related to using their lower spinal muscles. I would argue that the babies’ developmental transitions that Brazelton refers to as Touch Points (3) are facilitated by being in water, provided this takes place in a nurturing communication with parents. At those times, empathy is most needed. This is what Plooij observed mother chimps do through their babies’ growth-spurts, while learning to be a father himself at the time, and realizing humans were not so different. If teachers can help parents become more aware of the ways in which their infants communicate their feelings, this momentary destabilization before the next bound can be shared and even enjoyed. Babies feel listened to, seen, understood and accepted through their shifts. (4) Provided babies experience the pool as a safe environment, the water can be a wrap-around, supporting medium in which different modalities of being are experienced, enriching babies’ sensory-motor repertoire and expanding the parent-child communication register. Significantly, developmental transitions are linked with the “learning plateaus” (5) that often seem to follow them, worrying parents that while their babies seem so lively on land, little change is happening in water. We know that infants are learning all the time, even during the periods of latency called “plateaus”, the French word for flat raised lands, when there is no upward curve over sessions that seem to repeat, leading nowhere. We know less “how” infants learn during those times, but clearly this is not in the neat linear way in which skills are ticked off along the progression to unaided swimming. It is puzzling that some infants and not others seem to need this slowed down learning in a prolonged form. The articulation and feedback loops between land-based milestones and the development of swimming skills requires a great deal of further research, yet some patterns are already identifiable. If Touch Points invite empathy for transforming babies, “learning plateaus” are opportunities to develop new ways of communicating with them, with the knowledge that they can best show us the pace they feel safe and happy with at the time. Admittedly, this requires a lot of negotiation through games, playing around a not-taking-no for-an-answer approach rather than forcing or giving up. When babies have been attending swimming classes since their early weeks, they may reach performance peaks at around seven months in terms of class activities in their parents’ eyes. Then there may well be expectations that babies are going to do more, if not becoming swimming prodigies as seen on YouTube clips. Doing more, however, requires the opposite: a baby-guided if not baby-led playful exchange and exploration of trust, safety and risk-taking in water. The main pervasive “learning plateaus” that I have observed in baby swimming over three decades – around eight to 12 months for the consolidation of balance and self-propelling through kicks, and later after 18 months for the coordination of arm pulling and leg movements- are enriching productive periods if we respond to infants’ self-awareness of risk and their developmental needs to learn through play. 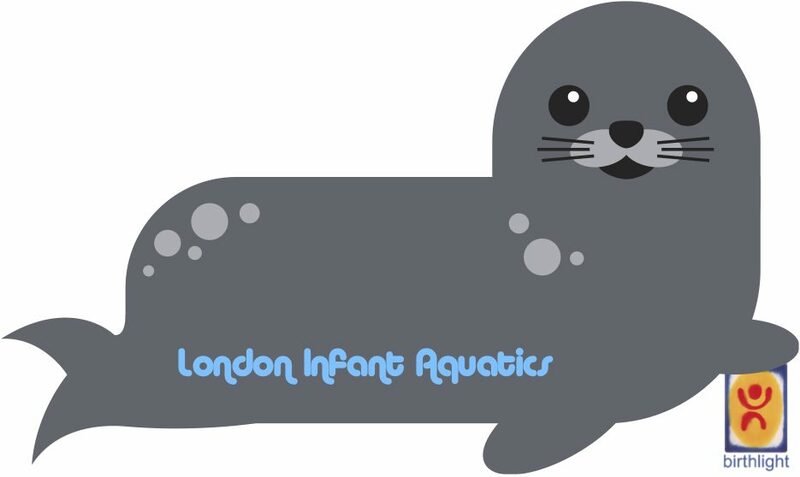 (6) Accepting that some babies become early swimmers and others just love water cuddles and games is perhaps the greatest challenge for parents who spend hard-won money on baby swimming classes. How much does this matter for their future? Rebecca Adlington did baby swimming and we like to think it helped her but no one knows. What matters is helping parents engage with their babies in world discovery with an array of fun interactive resources that interface creatively with research findings. This is what we specialize in at Birthlight, where, as a collective of innovative trainers, we are passionate about constantly developing more and better practices. Is this why the concept of “Water Wobbles”, in its extreme form when babies refuse to get into the water, sounds unfamiliar as a phenomenon parents can expect? In my classes, I have only come across two toddlers who rejected water sessions for some time; one when her mother’s attention turned to a new baby, the other when his mother passed away. Once the toddlers’ emotions were acknowledged, the water offered a soothing environment to move forward. From birth, babies are communicators and use negative cues to show us what they dislike. Are we watching and responding, or overriding their messages with conditioning practices that result in apparent acceptance? Submersion is the area of baby swimming in which even gentle conditioning using repeated verbal cues can be questioned. In recent years Birthlight has been leading this reappraisal of infant submersion to promote elective, child-led no pushing no pulling submersions. We are pre-occupied with avoiding the negative implications of conditioned learning for early brain development as much as possible. As far as I can remember, I have never seen little ones being repetitively submerged in any of my stays in the Amazon rainforest. They just go under to frolick or to see what their mums or siblings are catching. It is indeed normal and healthy that babies who have undergone conditioning practices in water should reject them towards the end of their first year, when they establish new boundaries with parents and they are keen to explore how to learn by themselves. Ignoring these louder cries for help in changing the dynamics of parent-infant communication to restore trust and happiness can be costly on all accounts. Long and delicate repair work may be required to resolve the trauma inadvertently caused to babies at the sensitive end of the personality spectrum. During transitional stages and “learning plateaus”, the water continues to offer a matrix for transformation and learning that babies and parents can explore and enjoy together. (7) These periods of growth and reorganization are challenging but positive; it can only be wished that parents could be better informed about them. Coupling these normal aspects of the development process with a far less ‘normal’ fear-based rejection of the water that babies may experience after attending baby swimming classes, amounts to a conceptual slippage that needs to be clarified. To label babies who have developed a rejection of swimming with a concept associated with well-recognized patterns of infant development is misleading. While transitional stages and “learning plateaus” are wobbly times that have their inherent resolution in a more advanced stage, babies’ rejection of aquatic activities requires a questioning of the practices that may bring about this rejection, rather than a label that acts as simple reassurance and an encouragement to persevere. Perseverance is certainly a fine quality in Water Parenting but we should only need it as a prompt to have more fun through Touch Points and “learning plateaus” while following infants’ growth within a continuous unfolding spiral of joy and shared learning. (1) Brazelton, Berry, Clinical Professor of Pediatrics Emeritus, Harvard Medical School and founder, Brazelton Touchpoints Center, Boston Children’s Hospital. (2) Frans Plooij Ph.D. Frans Plooij and Xaviera Plas-Plooij. 2016. The Wonder Weeks Milestone Guide: Your Baby’s Development, Sleep and Crying explained. KW Publishing. (3) Brazelton TB, revised with Sparrow JD. 2006. Touchpoints Birth-to-3. Vol. I Cambridge MA: DaCapo Press. (4) Siegel, D.J. 2012. The Whole-Brain Child: 12 revolutionary strategies to nurture your child’s developing brain. Penguin Random House. The Developing Mind, Second Edition: How Relationships and the Brain Interact to Shape Who We Are. New York: Guilford Press. (6) Gray, Peter. 2013. Free to Learn: Why Unleashing the Instinct to Play Will Make Our Children Happier, More Self-Reliant, and Better Students for Life (www.FreeToLearnBook.com). (7) Gerber, M. and A. Johnson. 2012. Your Self-Confident Baby: How to Encourage Your Child’s Natural Abilities — From the Very Start 2012. John Wiley & Sons, Inc.